The American Society of Health-System Pharmacists has released guidelines on preventing medication errors in hospitals. The guidelines, which are targeted at health system and hospital settings, are designed to give pharmacists ground rules and best practices to improve patient safety and avoid medication errors. “Some medication errors result in serious patient morbidity or mortality. Thus, medication errors—including close calls—must not be taken lightly, and risk-reduction strategies and systems should be established to prevent or mitigate patient harm from medication errors,” the guidelines say. 1. Patient admission: “Prescribing errors commonly occur during hospital admission for many reasons, and patients taking numerous medications are at a higher risk for adverse drug events (ADEs), which can include medication errors,” the guidelines say. Recommendations to avoid ADEs at the time of a patient admission include obtaining a medication history with pharmacy participation and conducting medication reconciliation. 2. Administration: “Common administration errors include wrong patient, wrong route, wrong dosage form, wrong time, wrong dose or rate, and wrong drug. Additional errors in this category may include errors of omission or missed doses,” the guidelines say. Recommendations to avoid administration errors at the bedside include checking patient allergies, obtaining two patient identifiers, and communicating with the patient about medication indications and side effects. 3. Monitoring: “Examples of failing to monitor medication effects include not checking a scheduled blood glucose level and checking the level but not reacting to the level. Incorrect interpretation errors might include checking the blood glucose level but giving the wrong amount of corrective or sliding-scale insulin for the value,” the guidelines say. Recommendations to avoid monitoring errors include training staff to identify common negative effects in patients and establishing protocols to respond to adverse reactions. In addition, clinicians should be trained to monitor medication efficacy through methods such as checking vital signs, performing electrocardiograms, and evaluating laboratory results. Inadequate response to medications should prompt changes in therapy under established protocols. 4. 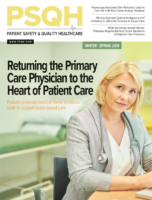 Patient discharge: “Pharmacists’ involvement in activities before patient discharge provides a valuable opportunity to prevent potential medication errors. Data show that adverse events are a major cause of avoidable hospital readmissions; more post-discharge adverse events are related to medications than other causes,” the guideline say. Recommendations to avoid medication errors during and after patient discharge include a medication discussion with the patient featuring open-ended questioning and active listening to effectively share information, patient education focused on medications such as insulin administration, and providing the patient with an accurate list of medications to be taken after discharge. Health systems and hospitals can effectively reduce medication errors, the guidelines say.